The story of Jacksonville's first enclosed shopping mall begins with Austrian-born architect Victor David Gruen. An advocate of prioritizing pedestrians over cars, Gruen is best known today for his pioneering design of shopping malls in the United States. Gruen, who described suburbia as being 'souless' and 'in search of a heart,' saw his mall concept as a method to create better versions of the American downtown in outlying areas. 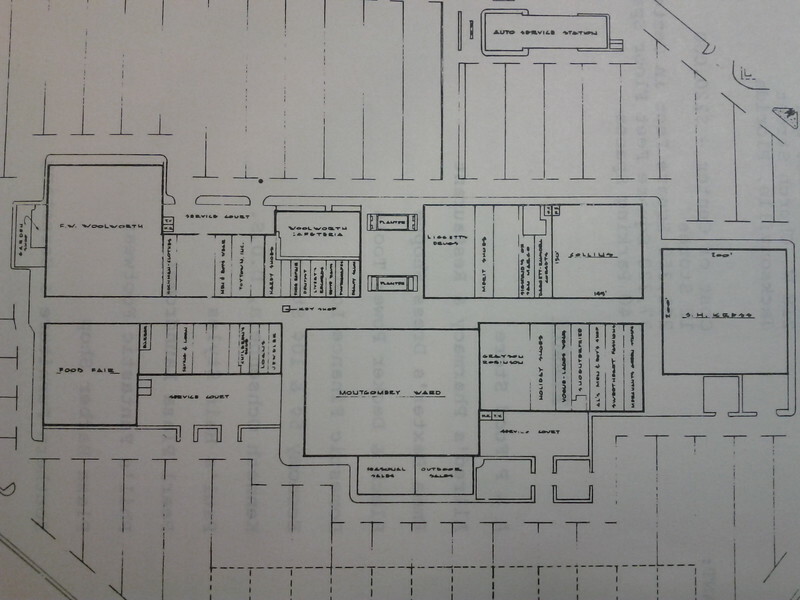 Gruen’s enclosed mall was supposed to become a civic center as much as a commercial complex by featuring daycares, libraries, post offices, community halls, and public art. Gruen’s first enclosed shopping mall, Southdale Mall in Edina, Minnesota, opened its doors in 1956 to 75,000 shoppers. Rapidly, developers partially embraced Gruen’s vision by ignoring the civic component and profiting off the retail mall concept’s popularity with rapidly growing suburbia. In 1957, fanfare with the popularity of the enclosed shopping mall found Jacksonville’s dominantly rural Southside.Food Fair Properties, Inc. of Philadelphia, PA, an early shopping mall developer desired to bring the concept to North Florida to complement their new malls in South and Central Florida. That year, they inked a deal to purchase a 43.5-acre tract of undeveloped land from William B. Simmons, Sr. for $600,000. 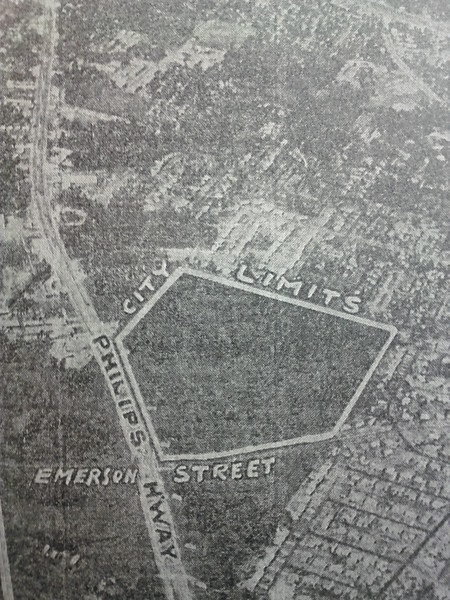 Located outside city limits and 2.5 miles from downtown, Food Fair was aware that a new federal highway (Interstate 95) and interchange (at Emerson Street) was planned to go through the east side of the property, making it within a 10 minute drive of every neighborhood in the Jacksonville area. The earmarked site’s rezoning from agricultural to business came over the objections of adjacent property owners. With an agreement to purchase the site finalized, Food Fair announced plans for the Southeast’s largest shopping center and Jacksonville’s first enclosed mall. At an estimated cost of $7 million, the 400,000 square foot shopping center’s 50 stores would be anchored by Jacksonville’s first Montgomery Ward and employ 3,000. At the time, Food Fair was also negotiating to bring a Saks Fifth Avenue and Richard’s Department Stores as co-anchors. Food Fair hired Lathrop Douglass of New York to design the center and construction commenced in early 1958. The 125,000 square foot, two-level Montgomery Ward was estimated to cost $2.5 million to construct. A second anchor, a Food Fair store, was estimated to cost $600,000. By the 1980s, Phillips Mall had fallen into despire and decline. Due to the closures of anchors, such as JM Fields, F.W. Woolworth and Pantry Pride, and competition from new larger malls, like Regency Square and Orange Park Mall, had become too much to bare. 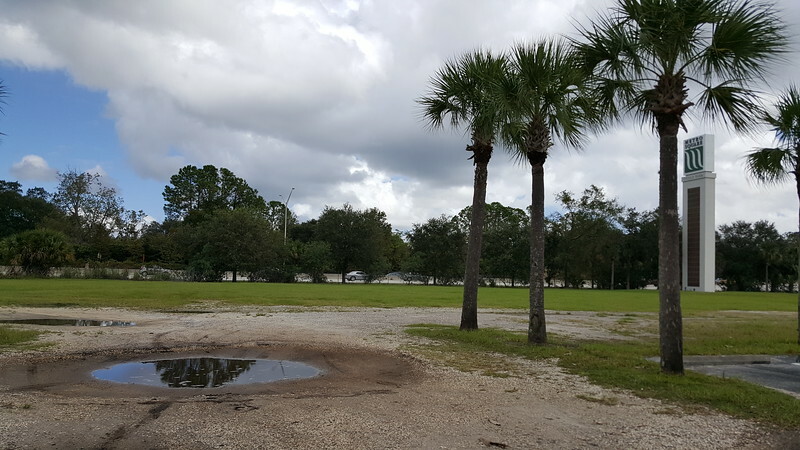 In August 1984, the mostly vacant shopping center was purchased by Levy/Schlesinger Companies of Miami for $7 million. Led by 36-year-old James Schlesinger, the company planned a $10 million conversion of the mall into an “Off-Price” center. Previously rehabilitating four Detroit area malls, the “Off-Price” concept consisted of filling retail space with discount stores that sold name brand merchandise. After seven months of construction and rebranded as Market Square Mall, the center had its grand opening on November 29, 1985. Changes to the center included new skylights, canopies to cover outdoor walkways and an added fountain at the main entrance. The mall had also been divided into two sections. Oshman’s Sporting Goods became the new anchor of the retail end, occupying the former F.W. Woolworth space. 29 specialty, off-price retail stores were located adjacent to Oshman’s. The north end of the old mall was rebranded as the Village Market. This section, which was developed by Patrick Danan & Associates of Lauderdale-by-the-Sea, was to be the home of 50 restaurants and specialty food stores. Outparcels for fast food restaurants like McDonald’s and Taco Bell were added along Emerson Street. In 1986, a 101,000 square foot Sam’s Club was constructed in the mall’s northeast parking lot as well. 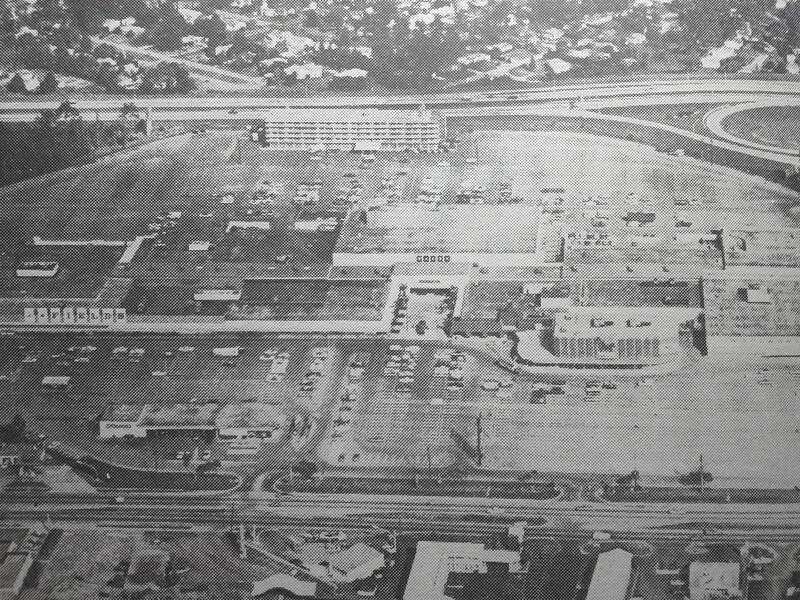 Despite the massive changes, Schlensinger’s conversion of Phillips Mall into Market Square Mall never became popular with Jacksonville residents and by 1990, the new Avenues Mall had become of apple of the Southside’s eye. Things went downhill so quick for Market Square that 100,000 square feet was eliminated to cut the mall’s utility bills in 1991. Sam’s Club didn’t stick around long and by the end of 1993, the space became Skate World. In 1994, the mall’s food court and entire north corridor was sealed off. The final death blow came in 1995 when Oshman’s Sporting Goods closed, leaving less than 10 tenants remaining at the shopping center. Labeled an “illegal whorehouse and drug dealership” by former City Councilwoman Suzanne Jenkins, the hotel was demolished in June 2001. In 1996, developers Charles Price and Craig Meek purchased the mall and converted it into a warehouse, office and distribution center called the 95 Central Business Center. Three years later, developers Price & Meek and ING Realty Partners announced their intentions to redevelop the property into a $26 million, 375,000 square foot office complex. Plans involved partial demolition of the mall structure to create an eight building complex. Demolition primarily focused on the removal of the roof over the enclosed mall, creating a network of outdoor pedestrian corridors throughout the development. By 2001, the development struggled with an occupancy rate of 30%. Developers believed the project was negatively impacted by the five story former Howard Johnson/Holiday Inn hotel that remained standing in the mall’s parking lot. Labeled an “illegal whorehouse and drug dealership” by former City Councilwoman Suzanne Jenkins, the hotel was demolished in June 2001. In 2004, Wachovia announced that it would relocate 2,000 employess from downtown Jacksonville’s Ed Ball Building and Hogan Building. 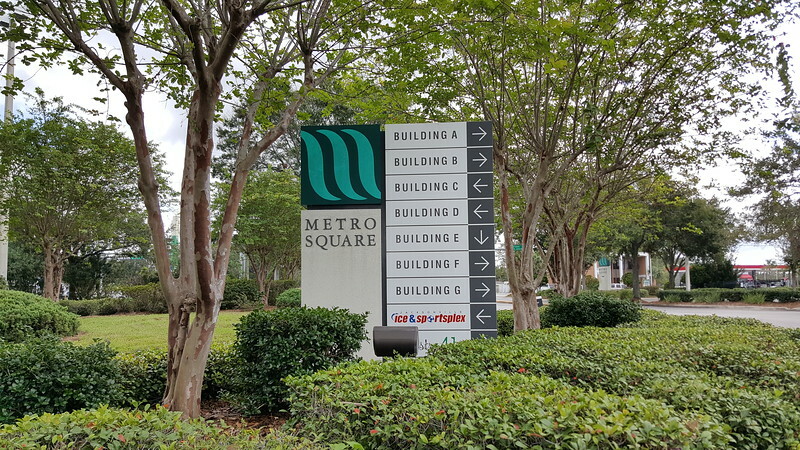 A portion of the relocated personnel went a space in Metro Square that was originally Montgomery Ward. In 2007, an affiliate of Montreal-based Moteli Property Group purchased the 80% leased Metro Square for $56 million. Today, the successfully revitalized project is a major center of employment. Tenants include Wells Fargo, Baptist Health, First American Title and Jacksonville Indoor Sports.